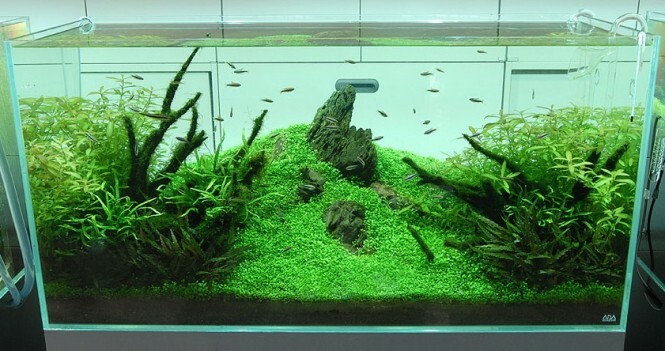 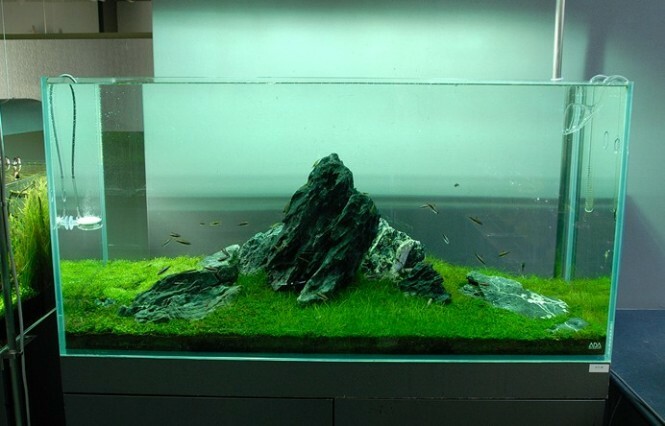 Essentially, the craft of aquascaping is landscape gardening underwater, involving the creation of aquatic plant, driftwood and rock arrangements, including cavework. Whilst an aquascape would typically house fish alongside the plants, it is also appropriate to use simply plants and rockwork, or other hardscape alone. 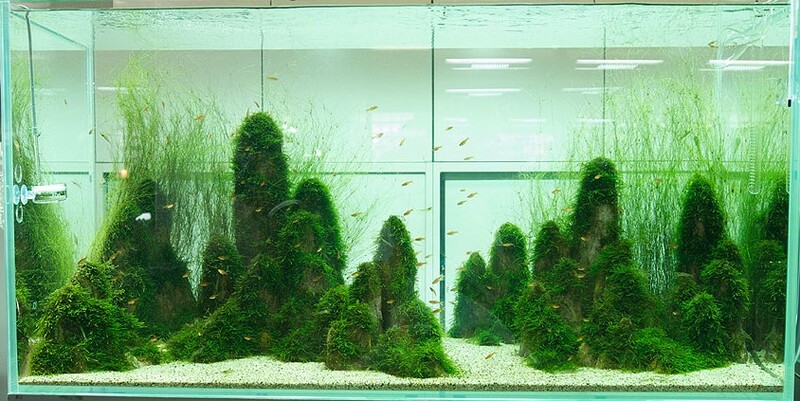 The aquatic works of art adhere to a collection of distinct looks and rules, such as the Dutch garden-like style, and the Japanese-inspired Iwagumi and nature styles that we see in this library of wonderful work. These dreamlike underwater landscapes come to us courtesy of Takashi Amano, one of the most influential people in the field of freshwater aquascaping, and his firm, Aqua Design Amano. 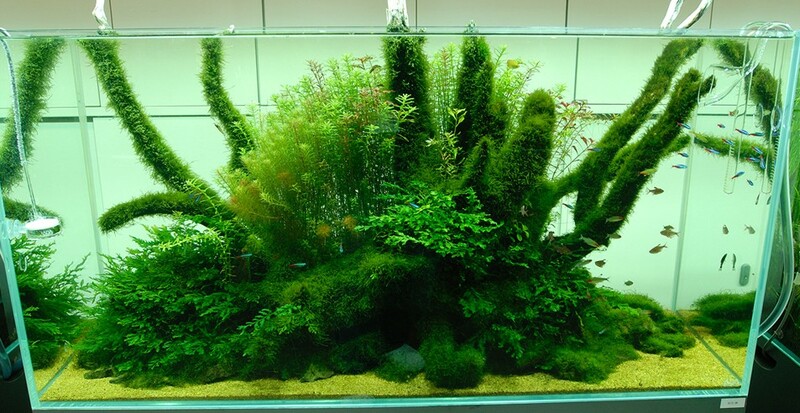 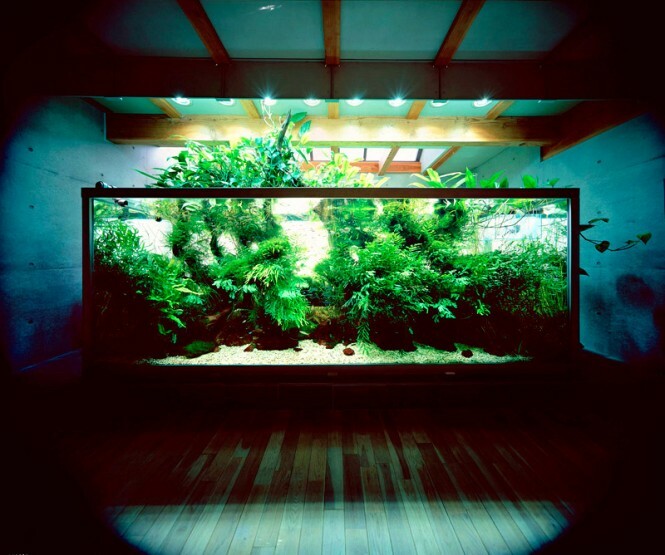 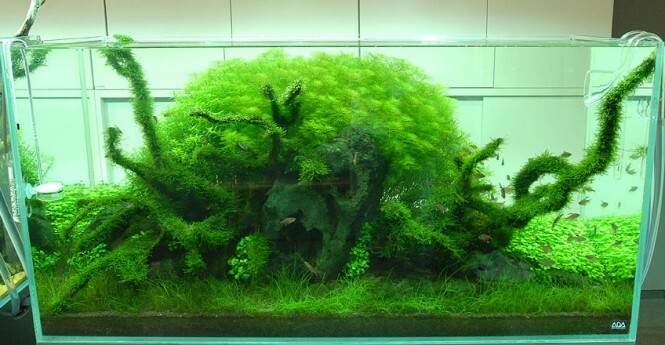 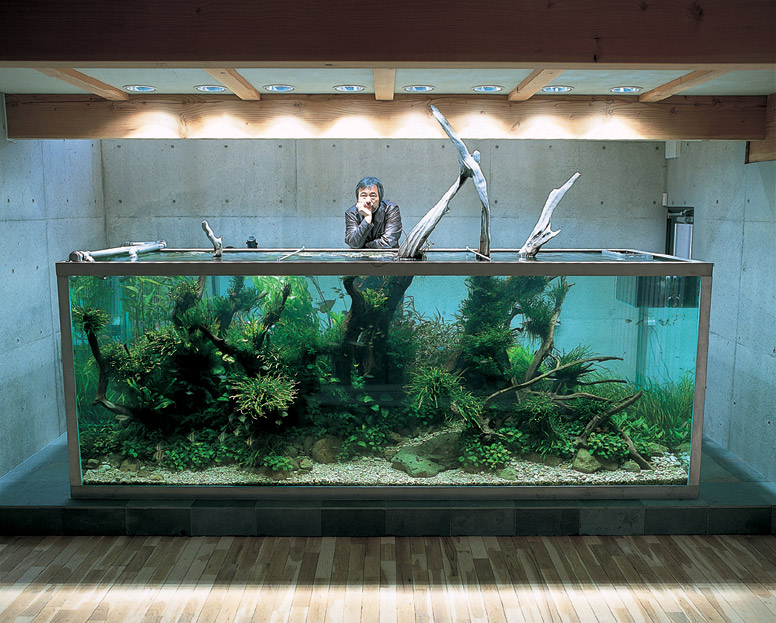 Mr Amano introduced the Japanese nature style during the 1980s, where a planted aquarium would aim to mimic a naturally growing scene and is influenced by Japanese gardening concept Wabi Sabi. 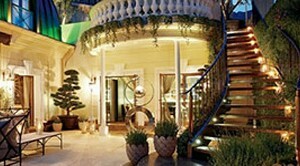 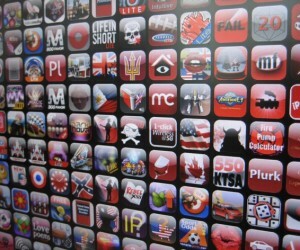 The implementation of schools of fish is also favored in this genre, to obtain a gentle balance of life and nature. 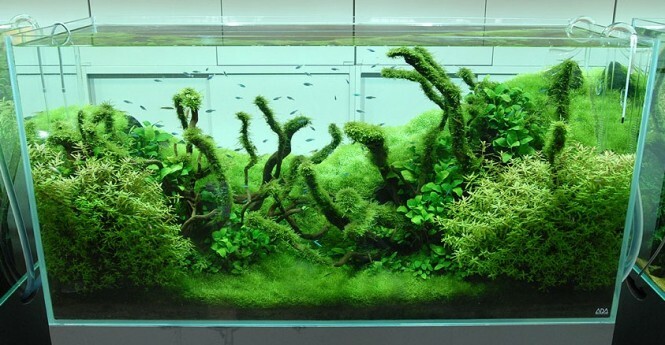 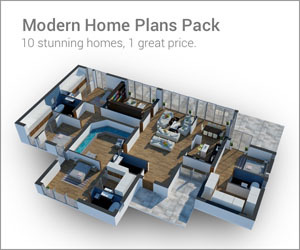 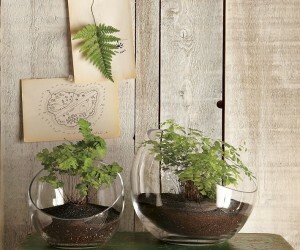 The green living creations reach a peak of perfection, and usually only last up to 6 months before the original creative vision is lost altogether and rescaping is needed. In these images we find dramatic scenes inspired by grassy fields, mountains, forest streams and oceans, with asymmetrical hardscapes structured in driftwood and rock.